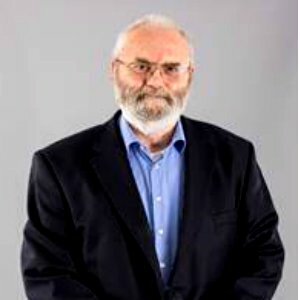 John Scott is currently an independent consultant with 40 years' experience of electricity distribution, transmission and regulation. 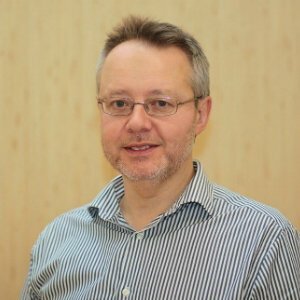 His previous roles include Director of Engineering for National Grid, Technical Director for Ofgem, and Director Network Innovation for KEMA Consulting. He takes a particular interest in innovation and sustainable energy systems, and factors critical to successful deployment of innovation on power systems. He was a founder member of the government’s Smart Grid Forum and has recently been a Non Executive Director at Smarter Grid Solutions Ltd. He is currently an advisor to Pearlstone Energy and is chair of the Technical Advisory Board of the FLEXIS project. He is an active Fellow of the Institution of Engineering & Technology and has served as a member of the Board of Trustees. He is currently on the steering group for the Future Power System Architecture project (FPSA), which is being led by The IET jointly with the Energy Systems Catapult. BSc in Chemistry and Biochemistry, and a member of the Chartered Institute of Waste Management. Career to date comprises over 25 years in both private and public sector organizations, covering a range of environmental activities from chemical process operation to regulation and policy development. Significant experience in policy development and implementation of new regulatory regimes whilst working as a policy manager in the Environment Agency. This included working with UK Government and supporting countries new to the EU to implement environmental legislation. Over 9 years within the policy department of Environment Agency Wales, covering policy development across the full range of agency responsibilities, including as Head of Strategy Unit Wales, from January 2006 to March 2013. Since April 2013, as Director of Evidence, Policy and Permitting for Natural Resources Wales. 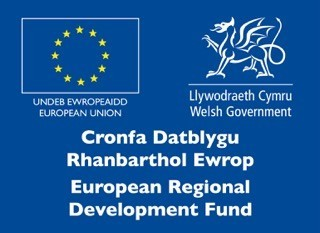 Working with a wide range of stakeholders including Welsh Government, local authorities, industry and business. Natural Resources Wales' purpose is to pursue sustainable management of natural resources in all of its work. This means looking after air, land, water, wildlife, plants and soil to improve Wales' well-being, and provide a better future for everyone. Nick was appointed interim CEO of the Energy Systems Catapult after leading on its development from Innovate UK in 2013. He became the permanent Head of Business Development on 1st October 2015, whilst continuing his role as interim CEO until 2nd November 2015. 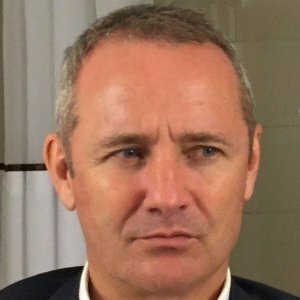 Formerly CEO of PowerOasisLtd, a telecoms network power management company co-founded and spun-out from Motorola, Nick’s passion for technology commercialisation has seen him engaged in the sector as entrepreneur, advisor and venture capitalist for over 15 years. 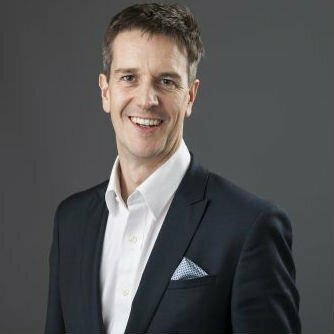 Previously Nick spent 7 years as MD and co-founder of SETsquared, a collaboration in enterprise between the Universities of Bath, Bristol, Southampton and Surrey. SETsquared’s successes include supporting hundreds of early stage technology ventures in the UK and California, facilitating industry academic collaboration and 5 Initial Public Offerings worth over £200m between 2004 and 2007. Nick has a Degree in Economics and Politics from Exeter University. John joined ITM Power in January 2012 from RWE npower where he was CIO for the UK generation business. 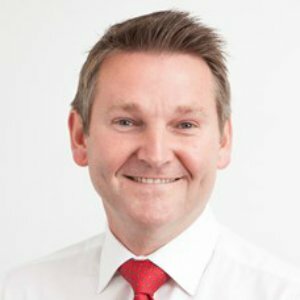 John has 20 years’ utility experience in various roles including, R&D, supply chain development and management, international business development and engineering consultancy. John has a background in energy storage and was part of Regenesys Technologies, a company formed by National Power plc which developed a utility scale energy storage technology based on redox flow batteries. John leads ITM’s activities in the field of power-to-gas and worked with National Grid Gas Distribution and Northern Gas Networks to secure funding for the HyDeploy project, the UK’s first power-to-gas demonstration. From 2002 to 2008 John was an independent assessor for the UK DTI New & Renewable Energy Programme and is a Freeman of the City of London. Paul Beasley is Head of the Siemens R&D Department in the UK with the responsibility for managing and developing the local research network. Here Paul coordinates research and innovation activities across Siemens Divisions, CT and partners through the respective Engineering and Innovation Manager networks. These activities include supporting the development of technology roadmaps, strategic university and institute partnerships, customer collaborations and research opportunities. He also promotes awareness across Siemens of UK research network capabilities and is responsible for managing the Siemens AG university initiatives in the UK. Following 9 years with Siemens Healthcare, where he was awarded Senior Principal Innovator status, Paul joined Siemens Technology and Concepts Group in 2008, spending 6 years as Head of Strategic Development, for, with a responsibility for identifying new technologies and concepts for Siemens AG’s future portfolio, developing relationships with key universities and organisations in the UK and USA in support of these developments. Prior to working for Siemens Dr Beasley had worked for The Welding Institute and Oxford Instruments. 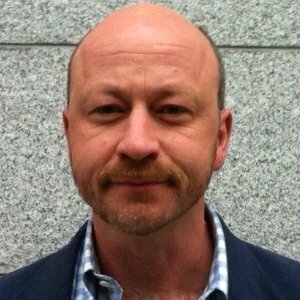 Dr Mark Winskel is Senior Research Fellow on Energy Innovation in the School of Social and Political Science, University of Edinburgh. He is an experienced interdisciplinary energy researcher and research manager, and was previously national co-ordinator of the UK Energy Research Centre (UKERC). He analyses UK and Scottish energy system pathways, and supports interdisciplinary energy research and research-policy exchange. 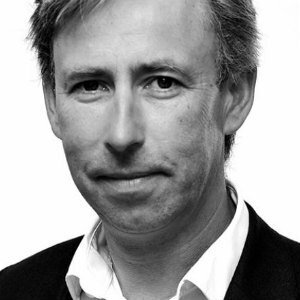 He is a UKERC co-Investigator, a member of the Directorate of ClimateXChange (Scotland’s national centre of expertise on climate change) and the Energy Technology Partnership’s Energy Systems Integration group. He has degrees in physical, environmental and social sciences. Ben Burggraaf received his MSc in Mechanical Engineering from Twente University in 2003 and became a Charter Engineer with the Institute of Mechanical Engineers in 2008. He worked at Corus/Tata Steel for 12 years. Initially working at the research & development department facility in the Netherlands, analysing furnaces and other combustion plant with Computation Fluid Dynamics. After moving to Wales a year earlier, he was appointed as the Energy Optimisation Manager at the Port Talbot Steelworks. His team was tasked to significantly reduce the electricity & natural gas costs of the South Wales steel plants. Alongside this role, he joined the World Steel Energy benchmarking working group in 2011 that published a report (“Energy use in the Steel industry”) and an online benchmarking & monitoring tool. Since 2014 he’s the energy operations manager for Welsh Water, responsible for managing the day-to-day energy costs of the 4,000+ sites across Wales & Herefordshire. Steven joined the gas industry in 1992 as a Finance Graduate and now has 25 years’ experience in the sector. Steven has been closely involved in the Ofgem review of the RPI-X, resulting in the “RIIO” form of regulation. Steven led the first “RIIO” business plan submission for Wales & West Utilities resulting in an agreed settlement with Ofgem for the next 8 years. As a member of the ENA Gas Futures Group, Steven has helped shape a number of contributions as the group continues to make future energy policy. Steven is also a Board Member of Energy Networks Association and in 2011 gave evidence on behalf of Energy Networks Association to the Energy Select Committee on the future role for gas in the UK. 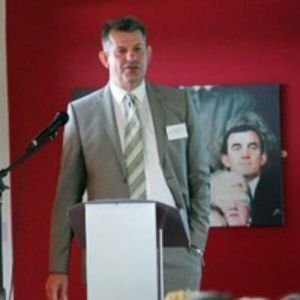 Energy is also a key issue for the devolved nations and Steven is a member of the Welsh Government Energy and Advisory Panel. Energy Adviser to the Welsh Government Ron is a very experienced member of the senior civil service with a strong technology background who has worked extensively over the last 35 years at the industry/government interface on technology, innovation, enterprise and energy related matters. Following tenure as Director Sustainable Energy and Industry in the earlier Welsh Assembly Government, he was appointed 6 years ago as the Energy Adviser to the Welsh Government- with a mix of path-finding, advisory and ambassadorial roles associated with helping to deliver ambitious clean and smart energy objectives for Wales on a joined-up government basis. Currently Ron is exploring with a wide range of stakeholders as to how innovation in: energy and digital technologies, buildings, markets, government activities and planning/regulation-can, if well integrated, help create a secure, low-carbon, low-cost energy system for Wales, the UK and wider afield. This is likely to involve a coherent whole energy-systems approach, with interalia more effective consumer engagement, the smarter local generation of electricity and heat, stronger indigenous supply chains and the much smarter and efficient use and distribution of electricity for power, heat and transport purposes. Prior to this work, and following a much earlier research, regulation and microelectronics industry-sponsorship career , Ron was the chief technology officer responsible for advising the Welsh Assembly Government on energy, steel, telecommunications and more general sustainable business-development policies and the head of the innovation and technology arm (WINtech) in the Welsh Development Agency Ron now has a 5 year appointment as an honorary professor at the College of Engineering, Swansea University. He is a Fellow of the UK’s Institute of Physics who participates in the work of many UK and Wales energy and innovation fora and is privileged to have an international dimension to his work- having visited China, Japan, USA, Australia, Middle-east and Europe to gain a global view of low carbon energy work. He is also a visiting-scientist at the world-class CSIRO solar-energy R&D centre in Newcastle in Australia. James received MSc (Distinction) in Electrical Power from Newcastle University (2000), and PhD from Northumbria University in 2004. He is an elected IET Fellow and member of ITL(2002). James joined the UK electricity transmission/distribution industry after he finished his study from Newcastle upon Tyne. He has taken various technical, commercial and management roles in the industry and is currently Future Networks Manager at SP Energy Networks. James is leading the team to ensure the high standards in innovation project delivery at national and European level and to realise tangible benefits for consumers. Future Networks team at Scottishpower is taking the leading role and has been recognised across the UK utilities sector. James has vast interests in digital technology, multi vector energy system and their applications in facilitating a low carbon electricity network. James has also strong commitment in the engineering higher education in the UK. He is a PhD supervisor and visiting professor at various institutes, including University of Newcastle upon Tyne and the University of Manchester. 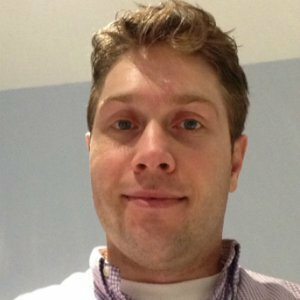 James published over 30 academic papers covering electricity market, transmission network control, wind turbine control and engineering education. Roger has worked in the energy industry for over 20 years. Originally joining East Midlands Electricity, industry changes have led to positions in Powergen, E.ON and now Western Power Distribution, part of the NYSE listed PPL group. He initially trained as an operational engineer delivering networks construction and maintenance activities. Roger subsequently gained experience in Control Room and Telecommunications parts of a DNO business. More recently he spent several years managing the IT functions. In 2008 Roger was asked to bring together his varied experience and establish a Future Networks strategy and small team of specialist engineers. The department are responsible for the business’s innovation strategy, delivery of demonstration projects and implementation of new solutions into core business activities. Key elements of the WPD Future Networks Programme are developing smarter local grids, leveraging value from smart meters and helping customers adopt lower carbon technologies such as electric cars, heat pumps and distributed generation. 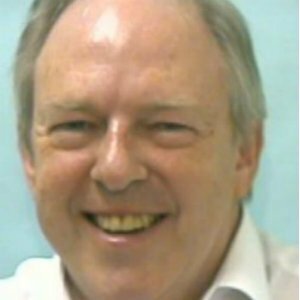 Bill David is Professor of Chemistry in the Inorganic Chemistry Laboratory and Fellow in Physics at St. Catherine’s College at the University of Oxford. He is also an STFC Senior Fellow at ISIS Facility at the Rutherford Appleton Laboratory, Oxfordshore. Bill’s research focus is in energy storage, initially with his research on lithium battery cathodes. More recently, he has worked on lightweight hydrogen-storage materials. Following his discovery of a new family of ammonia-decomposition catalysts, his main energy research interests are in the investigation of materials that facilitate the safe and effective utilisation of ammonia as an energy vector and in the development of sodium battery cathode materials. Bill is a Fellow of the Royal Society, a Fellow of the Royal Society of Chemistry and a Fellow of the Institute of Physics. He has received a number of awards that one of three Bragg Lecture Awards (2013) marking the centenary of the discovery of X-ray diffraction, and the 2015 RSC John B Goodenough Award recognising exceptional and sustained contributions to materials chemistry. Robert Harper is Gallium Nitride Programme Manager for the Compound Semiconductor Centre based in Cardiff. 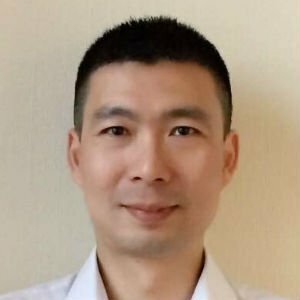 His responsibilities include definition and delivery of the GaN technology and product roadmaps for RF, power electronics and sensor devices. Robert received a BSc in Chemistry from Swansea University and MSc in Advanced Silicon Processing and Manufacturing Technologies from Southampton University. 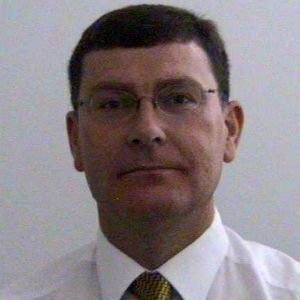 He has >30 years relevant industry experience in process integration, materials research and business development from working at Inmos, ST Microelectronics, IQE and Lam Research before joining CSC. He managed the tool installation and process qualification of the new 200mm wafer fab at ESM Newport prior to joining IQE in a business development role. He holds two patents for multi-junction solar cell and advanced Ge substrate manufacturing methods and his interests include advanced device process architectures and heterogeneous materials integration. Mike set up Cultivate in 2017 to provide on-going support for organisations and individuals in industry, academia and the public sector who are delivering innovative, low carbon energy solutions. Prior to this he worked as Partnership Manager for the Energy Technologies Institute (ETI), an organisation that brings together engineering projects to accelerate innovation and help the UK meet its long-term energy objectives. He still delivers this role on a part-time basis, ensuring that the ETI creates value for its funders (both public and private) and the wider community of industry, public sector and academic players involved in energy in the UK. This is about informing policy, supporting companies developing the solutions, and building investor and industry confidence in new approaches to energy. 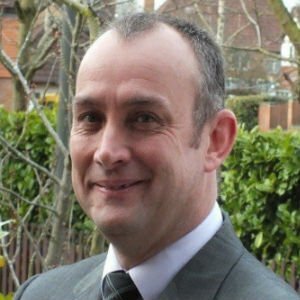 Mike is a Chartered Mechanical Engineer with over 20 years’ experience in the energy sector. Before joining the ETI, he spent 15 years with E.ON, first as a Combustion Engineer and subsequently as a member of E.ON’s R&D Management Team. 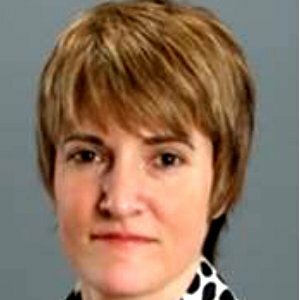 Iliana is currently the Electricity Transmission Owner Innovation Manager responsible for the delivery of innovation across National Grid. Iliana joined National Grid in 2014 as a Condition Monitoring Specialist before moving into the innovation team in 2015. Previously, Iliana was the Operations Director of the Power Networks Demonstration Centre at the University of Strathclyde. 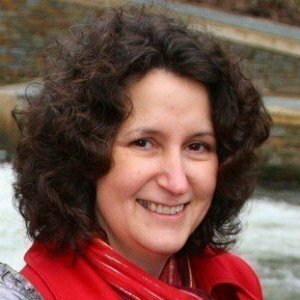 Iliana graduated from the University of Bath with a MEng in Electronic and Communications Engineering (2001), where she also obtained sponsorship from National Grid for her PhD to develop a system for the location of partial discharges using antennas (2004). She then moved to the University of Strathclyde where in 2007 she spun-out the technology into Elimpus Ltd. In 2010 she went to work as a Sensor Laboratory Manager and Senior Project Manager for the Electric Power Research Institute in Palo Alto. David was previously Her Majesty’s Chief Inspector of Pollution (HMIP) and a Director of the Environment Agency. As an Honorary Professor in the School of Engineering, Cardiff, he is involved in projects such as Marine renewables, Systems Risk and Cyber security and has been responsible for a number of successful sustainable technology start-ups. An early pioneer of Risk Analysis in the nuclear, offshore and oil and gas industries, he has been instrumental in introducing and developing formal risk management in the United Kingdom, United States, Europe and Australia. 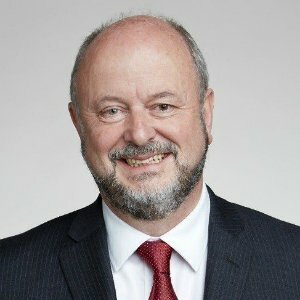 He has been closely involved in developing policy in Health and Safety, and the Environment as a regulator and as adviser to United Kingdom and European Governments. He takes a special interest in Tidal Lagoon’s governance, culture and performance in Health, Safety and Environment (HSE) matters for the Board. 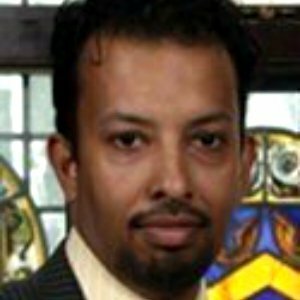 Mahesh Sooriyabandara is Associate Managing Director at Toshiba Telecommunications Research Laboratory, Toshiba Research Europe Limited based in Bristol, UK and an Honorary Visiting Professor at Cardiff University. At Toshiba Research Europe, he leads a cross-disciplinary research project portfolio on networked systems covering several key application areas including telecommunications, energy and smart cities. He is a recognised expert in a number of specialist technical areas in particular wireless networks, smart energy and Internet-of-Things. In 2012, Mahesh received the Toshiba Research Europe’s “Distinguished Researcher” Award and Toshiba “Corporate R&D prize” for his contribution in smart grid communications area. In 2013, he received Toshiba Corporation’s corporate technology prize (i.e. CTO Award) in recognition of research and business impact which led to realisation of one of the largest smart meter wireless mesh networks in the world. Mahesh received his BSc in Electronic and Electrical Engineering from University of Peradeniya, Sri Lanka, and PhD in Engineering from University of Aberdeen, UK. He has over seventy peer-reviewed publications, several book chapters and over twenty patent applications (at various stages from filing to granted). He is actively involved in the standardisation activities within IETF, IEEE and ETSI for many years. He is a Chartered Engineer and a Fellow of the IET. 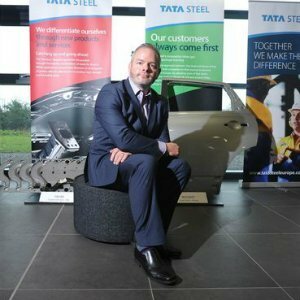 Martin has worked in many different parts of the steel industry in a career spanning more than 25 years, and is currently Research, Development and Technical Director for Tata Steel UK. 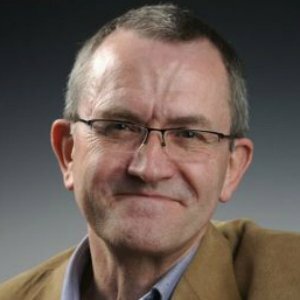 Martin is an Honorary Professor of Swansea University, Fellow of the Institute of Materials, Mining and Minerals, and a Chartered Engineer. He holds an MBA from Warwick University and an Engineering Doctorate from Swansea University. In his current role, Martin has responsibility for developing the long-term strategy for the UK steel-making operations and the key downstream assets, including hot mills, cold mills and galvanising production units. This requires close co-operation with universities and funding bodies as well as with local and national governments and strategic customer sectors. He also sponsors the company’s Wales-based Community Liaison programme, ‘Future Generations’. Dave is the Director for EA Technology's Smart Interventions business - a £6m business of c50 energy professionals. Its aim is to support the strategic choices for energy network customers through its consultancy services and embedded software platforms, with core offerings related to quantifying & reducing investment uncertainty for power assets, improving network resilience and addressing future demands. 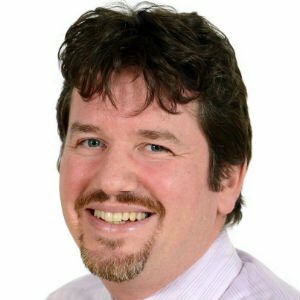 Dave has 16 years in the UK electricity industry, joining EA Technology in 2009 from roles in ScottishPower, with an active history in network innovation, smartgrids and asset management. More recently, he has covered activities from electrical energy storage, to techno-economic modelling, to large scale innovation trials and their adoption. He has played pivotal roles on key innovation projects including the UK’s largest grid / electric vehicle trials (My Electric Avenue, Electric Nation and the EV-Network group), and OpenLV in the 2016 Network Innovation Competition. Dave is a regional councillor for the CBI’s North West Branch, and part of their current Leadership Programme. Outside work Dave is a surfer, snowboarder and a qualified coach for British Gymnastics - he lives with his wife and two sons in North Wales. Steven Phillips has held the role of Chief Executive at Neath Port Talbot County Borough Council since 2009. He was previously Corporate Director of the City of Cardiff Council and a Civil Servant for both the Welsh Government and the Government Office for the North East.